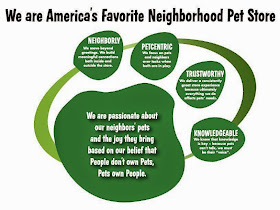 Pawsitive Impressions: Pat on the Back to North Aurora, IL for Building NEIGHBORLY Connections! Pat on the Back to North Aurora, IL for Building NEIGHBORLY Connections! The Franchise Pet Center in North Aurora, IL helped sponsor Bark for Life, which supports the American Cancer Society in Aurora. Pat on the Back for your dedication and support of this great cause!